When a profitability ‘tipping point’ was reached five years ago with the dairy herd at Stowell Farms near Marlborough in Wiltshire, estate manager Gavin Davies faced a choice of reinvestment or selling the cows. The decision to expand was made, and now with the herd three times the size and yields averaging 10,000 litres, his aim is to maximise margins from the estate’s middle ground milk contract by driving yields while keeping cows in good health. Gavin explains that although the role of a dairy herd on an estate such as Stowell is broader than it would be on a specialist unit, the enterprise still has to turn a profit in its own right. 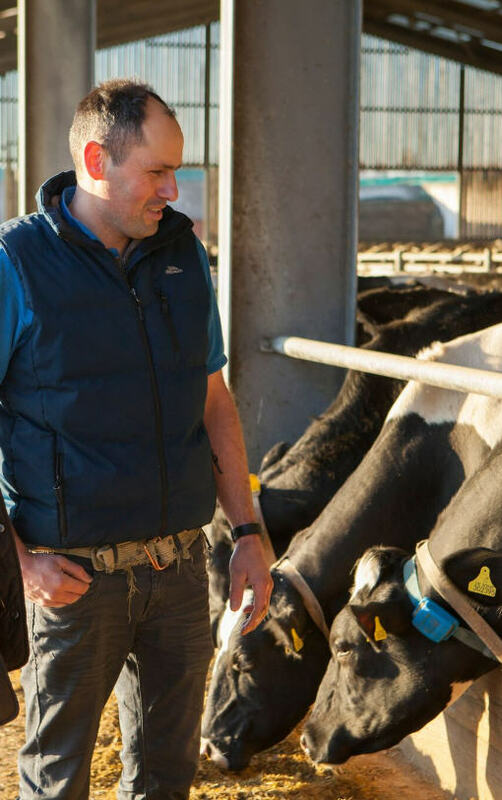 “The dairy herd plays a more holistic role in a large integrated farming business – utilising homegrown by-products and providing rotation opportunities and manure to support the arable operations,” he explains. With 1,500 acres of arable and 1,500 sheep, there are a number of ways in which the enterprises can complement each other, with the latest addition being an anaerobic digester attached to the dairy with the digestate going back on to arable land. The herd is housed most of the year on three times a day milking, but with low yielders grazed in the summer and milked twice daily. Cows calve year-round and are fed a standard TMR diet. The estate is on a standard liquid milk contract with Medina, supplying middle ground liquid milk outlets. Gavin says that in that part of the country, rainfall and soil types vary considerably. 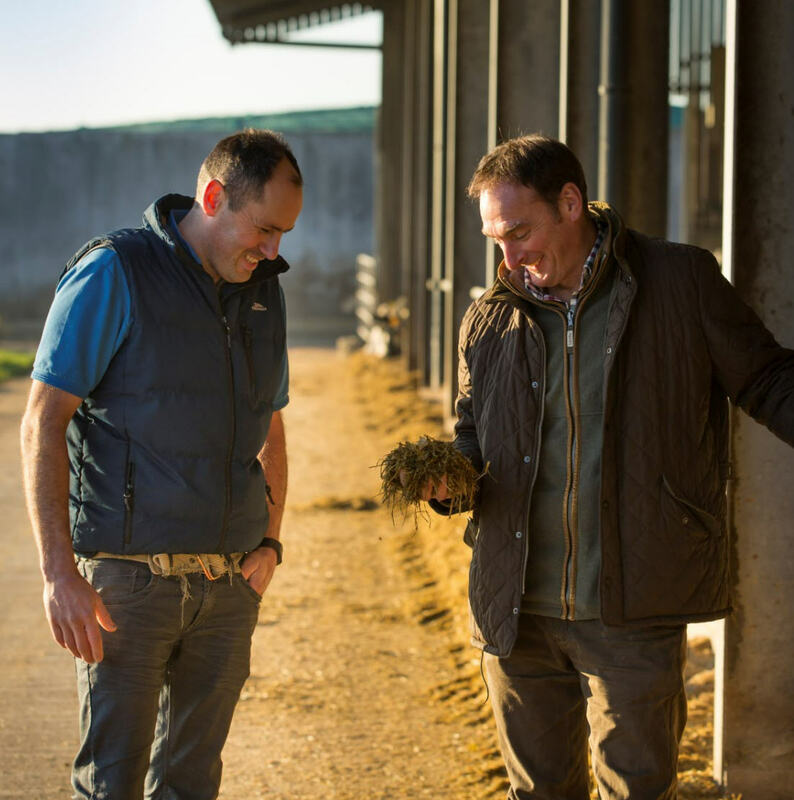 “So while maize silage is the mainstay of the TMR diet, grass silage is an important element and can be of mixed quality,” he says. 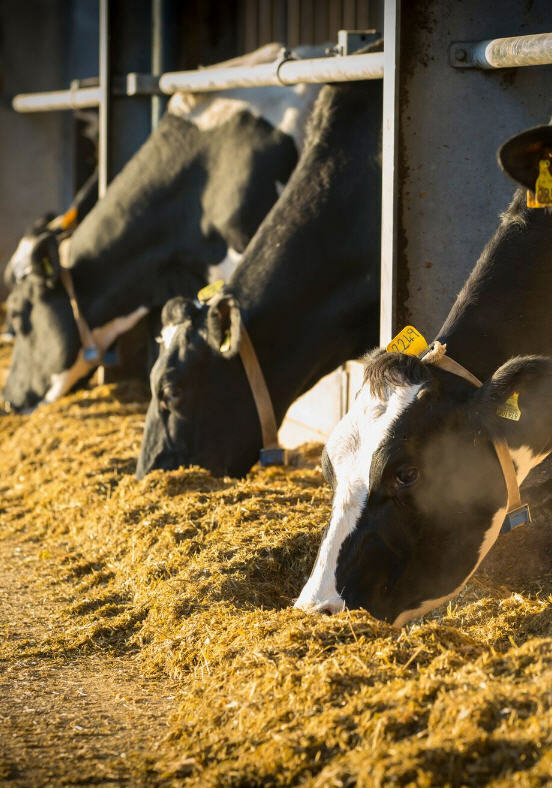 “We are looking for the highest level of milk yield that can be sustainable and profitable so this means consistency of forage is very important to avoid acidosis, which is always a risk. So for the past 12 months, Gavin and his nutritionist James Husband from EBVC have been trying out NIS in the diet as a way of driving yield while managing that risk. Firstly it increases intakes of forage fibre because it doesn’t have the ‘gut-fill’ problems associated with chopped straw. But it also improves diet consistency by being easier to mix in the feeder wagon, reducing sorting and overcoming any quality issues with the estate’s own straw supply following a challenging harvest. The cows are settled on it too and aside from these benefits, it usually stacks up cost-wise. At the moment the ration premix consists mainly of soya, maize distillers grains and soya hulls with minerals and molasses. NIS is added at 2kg for the high yielders and 1kg for later lactation cows. While there is some movement between comparative inclusion rates of soya hulls and NIS in the high yielding ration as the price of straights fluctuates, James is minded to keep NIS in at a minimum of 1kg for high yielders because of the other contributions it makes. “I feel NIS does a better job of maintaining intakes in very high yielding cows that are on the edge for acidosis,” James explains. “So we now tend to ‘titrate’ the quantity required against what the cows are telling us. There’s a base of 1kg in the blend and then we float another 0.5-1kg on top of that depending on the dung and intakes.